Is Your Home's Outdoor Lightning Adequate? Many homeowners give little to no thought to their outdoor lighting. However, this is an aspect you should give considerable focus to, as the lighting to your yard area can serve a few important purposes. Outdoor lighting added to your Ann Arbor, MI home can make all the difference in the world. Think about how it can add to your property. 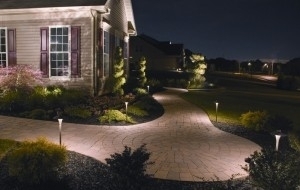 Safety is one of the most important things to consider when it comes to adding outdoor lighting around your home. Adding lights along the pathway leading to your door as well as porch lights creating a well lit area can make all the difference in the world. It keeps things illuminated enough that you are able to see where you are going after dark, allowing you to avoid any obstacles that might be in your path. A lit pathway that leads to your door can also add safety for anyone who is visiting you after dark who is not fully familiar with the landscape. It looks great but also gives your guests a warm and welcoming feeling. Every home should have outdoor lighting for the sake of security. Having a timer on your lights or a sensor that detects the movement of passersby can created an added sense of relief in the event an intruder tries to approach your home. You may even find that a would be burglar would prefer just passing your home by instead of attempting to break in when there is sufficient outdoor lighting as it can make them that much more noticeable. Outdoor lighting is the perfect addition to your home when you plan on entertaining outdoors on the porch or in the yard. Perhaps you would like to have a barbecue after dark and eat on your patio — this is far more affordable than going out to dinner to a restaurant, not to mention much more comfortable. In addition, you can take pride in showing off your home to your guests, and what better way to do that than with outdoor lighting that showcases the landscape? If you have a pool, you will certainly want to add some lights around it, even if you aren’t inviting guests to take an evening dip. Finally, a big reason to have outdoor lighting set up on your property is for landscaping purposes. 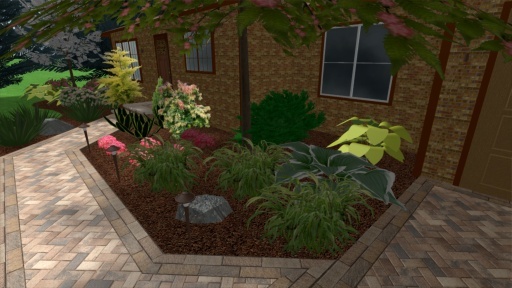 In addition to the landscaping you do that involves plants, lighting is a great way to beautify the exterior of your home, and it can even help to increase your property value. Landscape lighting can highlight specific plants in your front yard or garden, making them appear even more beautiful and lush. With outdoor lighting, it is important to select just the right type of lights for your home. You will want to ensure that you don’t choose lighting that is too harsh, but at the same time, avoid lighting that is too dim as well. You may also want to purchase all new lights for the exterior of your home instead of keeping whatever the previous homeowners had. Fortunately, there are many options available, so be sure to do your homework before undergoing your lighting project.